Successful patient access requires an integrated approach to demonstrating product value, using robust evidence and compelling communications to inform healthcare decision-making. 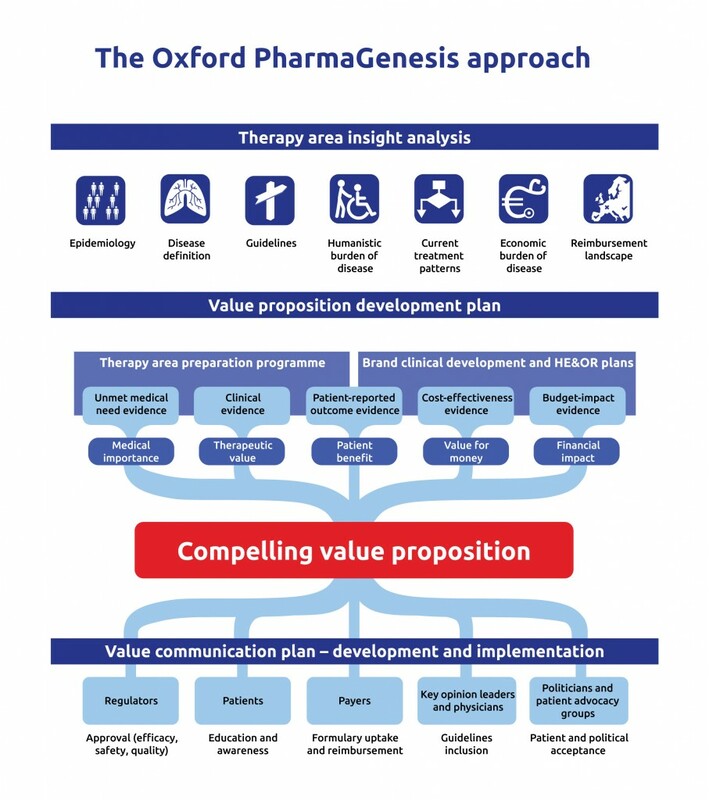 Oxford PharmaGenesis Value Demonstration Practice delivers decision-shaping real-world evidence and value communication programmes, payer insights, reimbursement submissions and internal training to support global and local access initiatives. Our mix of industry, payer, academic and consultancy experience and our unique understanding of HealthScience means that we know how to demonstrate value to all stakeholders who influence access to healthcare products and services. Our expertise covers rare diseases, orphan indications and non-pharmaceutical healthcare interventions, and also spans developmental and mature pharmaceuticals. White R, Rivero-Arias O. Value demonstration. Pharmaceutical Marketing Europe 2012 (Apr):32–3. Hughes R, Mitchell CR, Bishop RS, Fotheringham I. Health-state utility values in breast and prostate cancer measured using the EQ-5D: a systematic review of the literature. Value Health 2014; 17(7): A645–A646. Presented at the 17th Annual European International Society for Pharmacoeconomics and Outcomes Research (ISPOR) Congress, 8–12 November 2014, Amsterdam, The Netherlands.